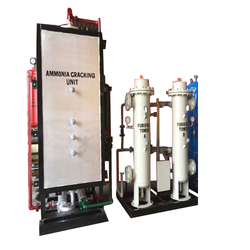 Fully automatic in-house production, low cost, Oxygen Free gas generation of Rich / Lean Exo, Endo and Inert Gas produced by controlled combustion of Air and Fuel mixture and made Co2, H2, N2 as required. Fuel is either LPG / HSD / Kerosene or Natural Gas. 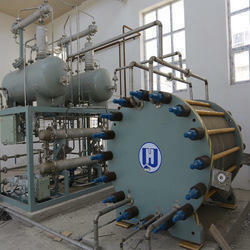 A sophisticated range of H2 Gas Generation Plants is being offered by within reasonable prices. These contain two absorption vessels as well as intricately constructed zeolite molecular sieves. During operations, these plants are alternatively charged with compressed air, so that the nitrogen may be absorbed. Moreover, these are duly checked for operations and construction post-manufacturing.